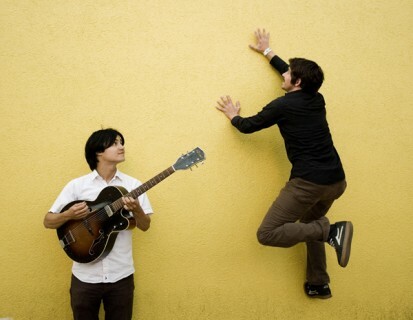 The evolution of the Dodos from an acoustic guitar-led duo to full-fledged rock band took hold on the band’s 2011 album, No Color. The Dodos broke through for the pairing of guitarist Meric Long’s energetic, acoustic strumming and drummer Logan Kroeber’s intricate, clicking-clacking approach to percussion. Kroeber often taps the rims and bodies of his drums and on earlier recordings and tours, completely forgoes using a bass drum. The band’s two breakthrough releases, 2008’s Visiter and 2009’s Time To Die, featured an upbeat take on indie-folk. No Color evolved the band’s recorded sound to match the live show, revealing a richer texture.